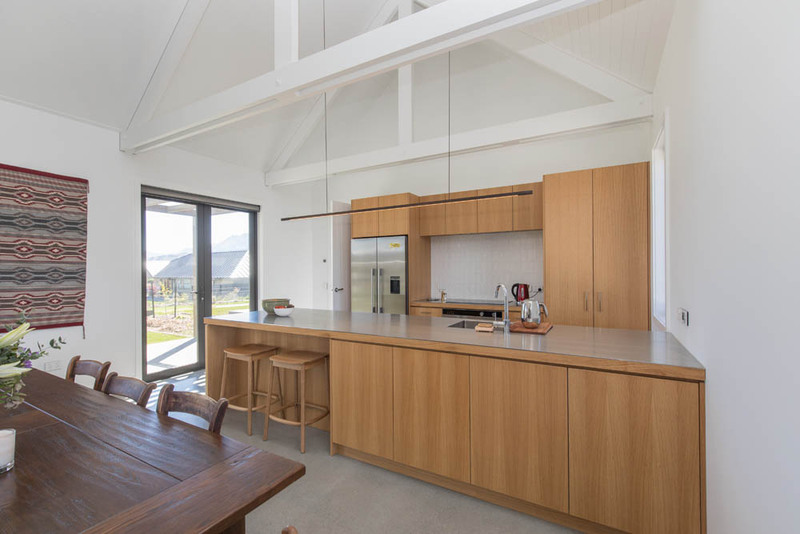 This gently rolling site appealed to the owners and they didn’t want to flatten it, but rather to design the house to suit the level changes on the site. 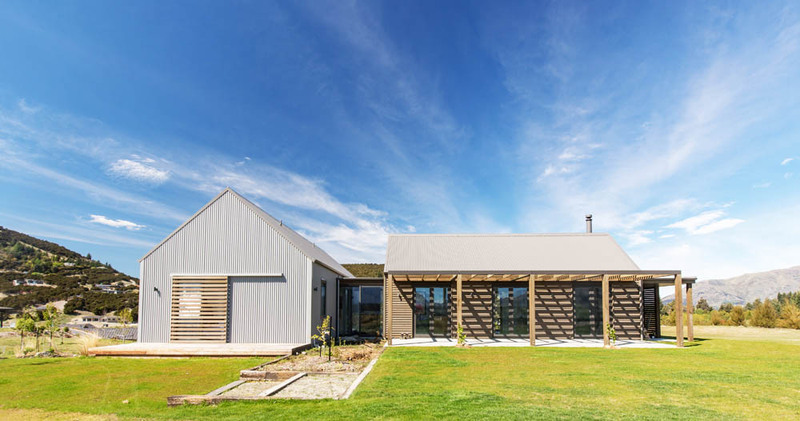 This has resulted in a home that appears to be a single level when viewed from the north, but has the garage tucked into the contours on the south-east side. As you approach it seems to be a simple barn-like building. 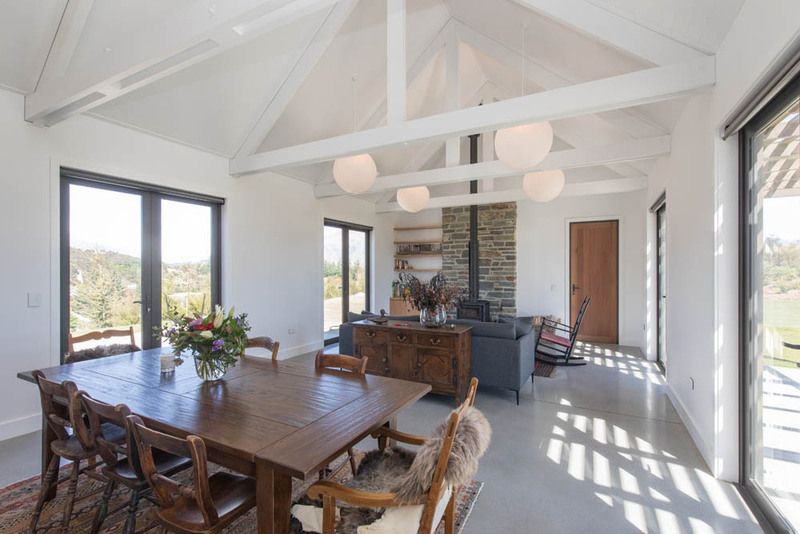 The house is planned from a single story living pavilion and a double story bedroom pavilion on three levels. 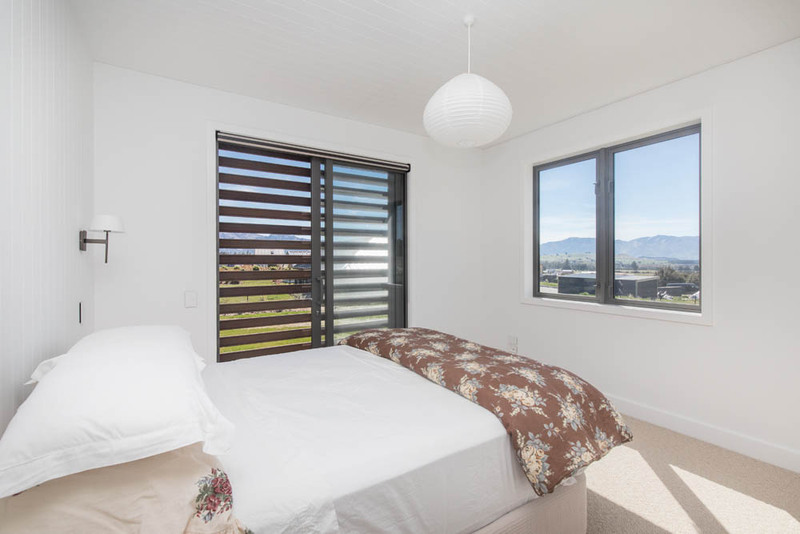 The master bedroom is at the same level as the living areas with stairs down to the garage and up to a spacious guest bunkroom / bedroom with ensuite above the garage. 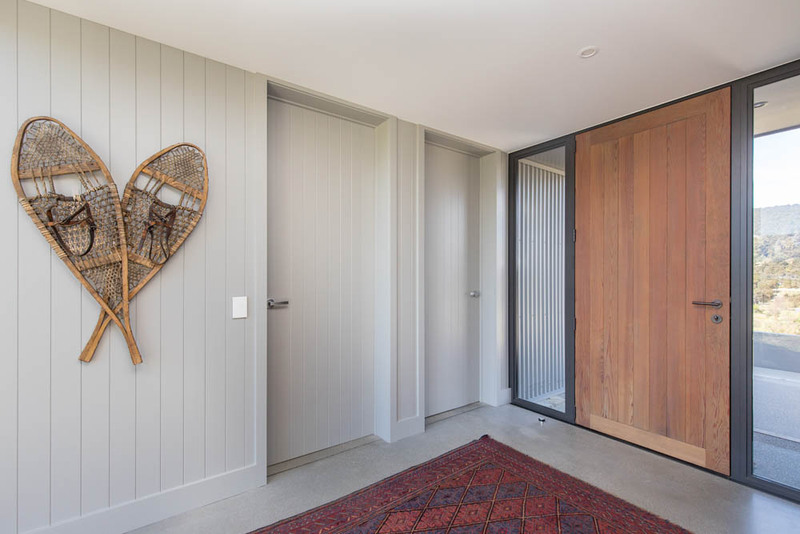 A glazed link between the two forms the entry. 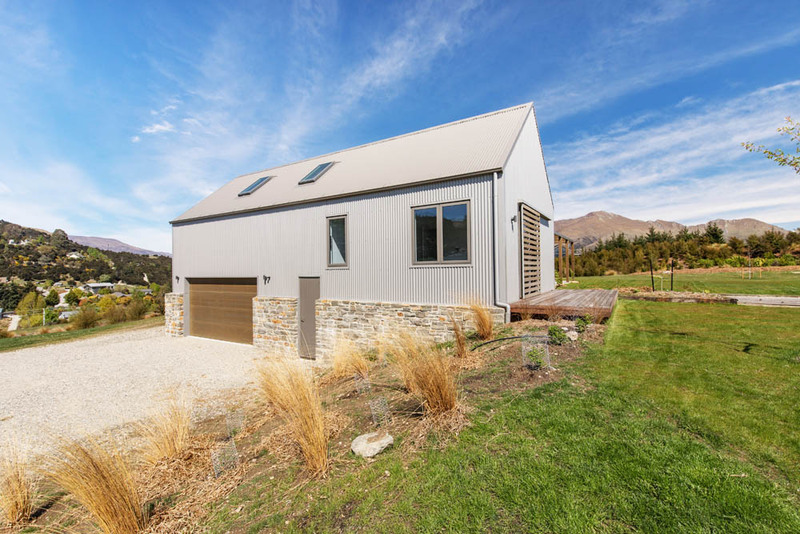 The house has been designed for use as a holiday house in the short term, with plans to add another two-bedroom wing when the owners move to Wanaka permanently. 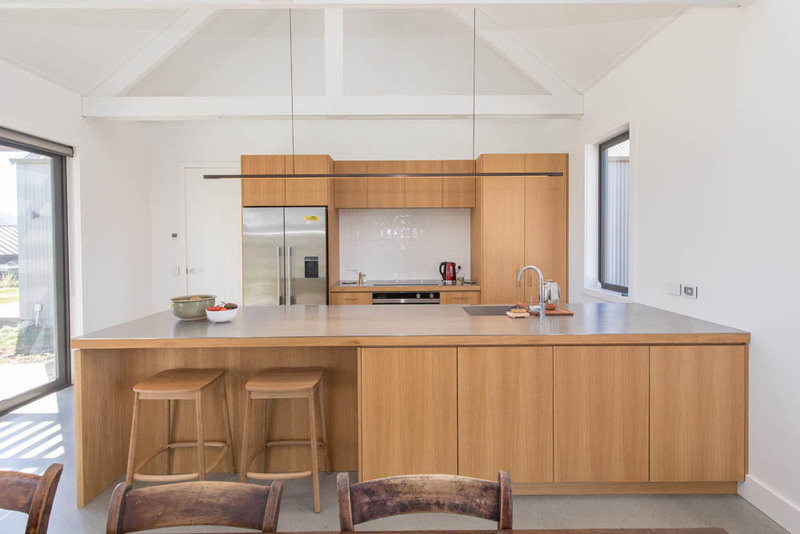 The simple rural forms and natural materials: timber, stone, steel, and glass, give this contemporary house a classic feel. The living area is planned to face the sun and opens to outdoor rooms on both sides. 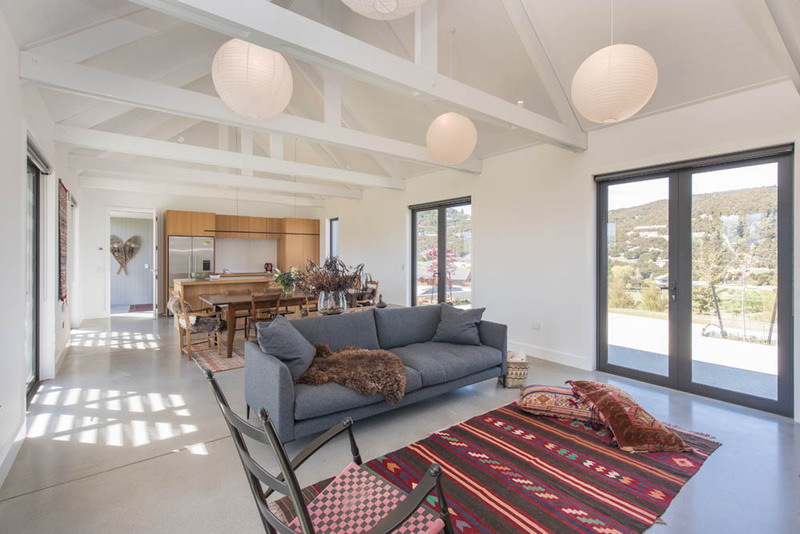 Concrete floors, steel and timber joinery and light painted walls create simple and warm and welcoming interiors.